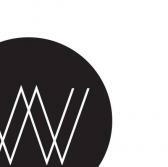 W CONCEPT is an on-line fashion store based on New York Metro. We keep updating the trendy and uprising brand items day by day. We carry thoughtfully curating famous brands and premising independent designers from the US and abroad. We have been working on projects such as showcasing fashion items; customize fashion photo-shoots, fashion films, fashion columns and so on. We believe that well designed fashion items are able to change every moment of our lives. Now we have had many fashion followers and regulars since the opening of the web-site.